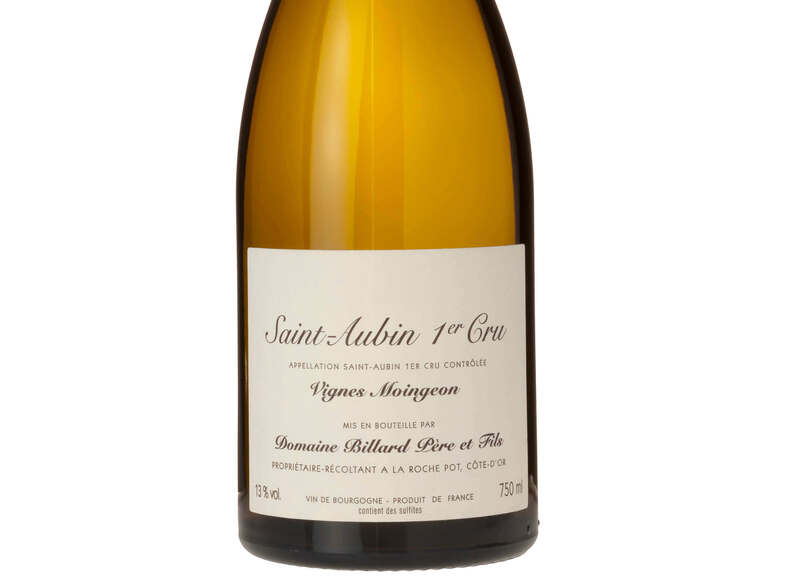 Made a stone’s throw from the Grand Crus of Montrachet, this elegant white Burgundy shows intense aromas of lemon peel and butter backed up by lots of lovely stone fruit. Fantastic weight on the palate. The oak is beautifully integrated. Well balanced with superb length. The Billard family home is situated 15km south of Beaune in a small village called La Rochepot. 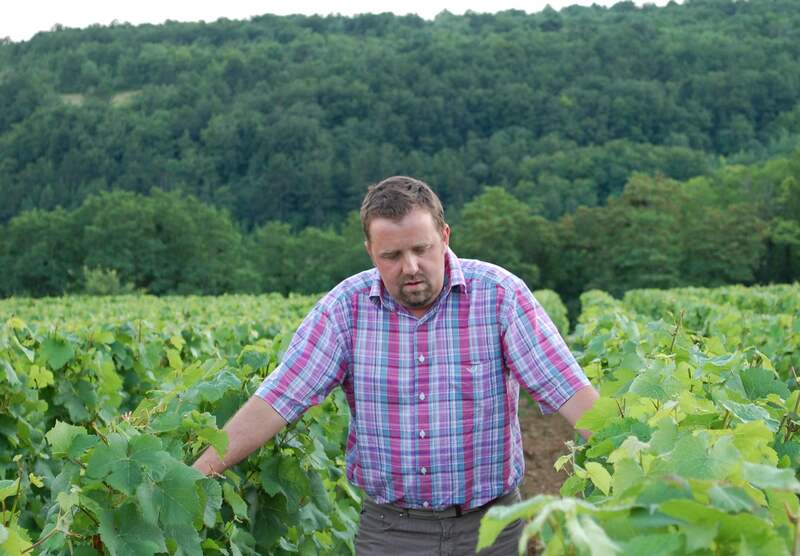 Jérôme Billard is the fifth generation to head the establishment and has managed the vineyards since 1999 with a continuous passion to create the best Burgundian wines. Their aim is to create wines which are an expression of their individual terroirs. 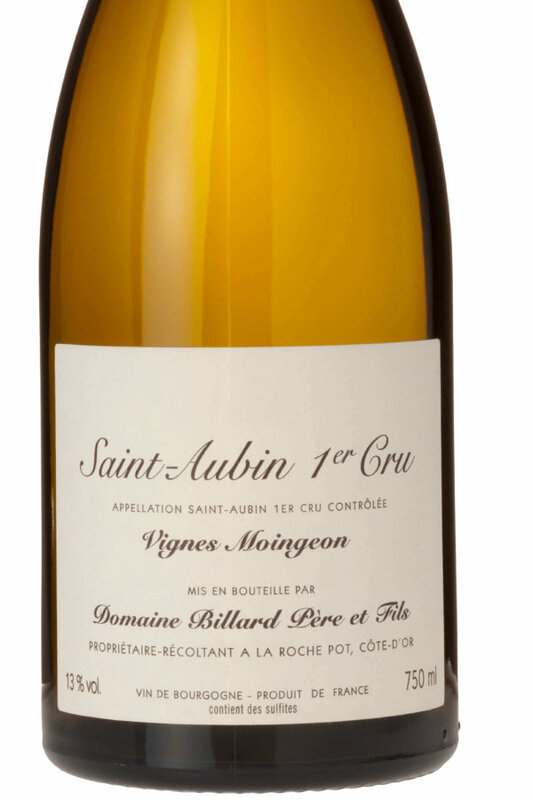 The vineyard covers 17 hectares and spans four AOCs, (Aligoté, Hautes Côtes de Beaune Blanc and Rouge and Crémant) five AOC-villages and three Premier Cru sites, (Saint Aubin Blanc and Rouge and Beaune). Green-harvesting and canopy management are used to limit yields and promote optimum ripeness in the fruit. Domaine Billard do not use chemical sprays, instead preferring to encourage natural predators, such as insects to feed on any pests. The grapes are hand- harvested then transferred to sorting tables where they are scrutinised and carefully selected, ensuring that only the highest quality fruit is used. Gentle whole bunch pressing helps to preserve purity. Fermentation and maturation take place in a combination of Alliers and Tronçais barrels with the wine developing for 15 months. Regular lees stirring creates a round style with incredible depth of flavour.